For 30 consecutive years 1,000 or more visitors arrived in McMinnville, Oregon for the International Pinot Noir Celebration. The featured Pinots come from all over the world and are adjudicated and chosen to be the best representatives of the variety. This year Lazy River won a spot as a featured Pinot Noir. 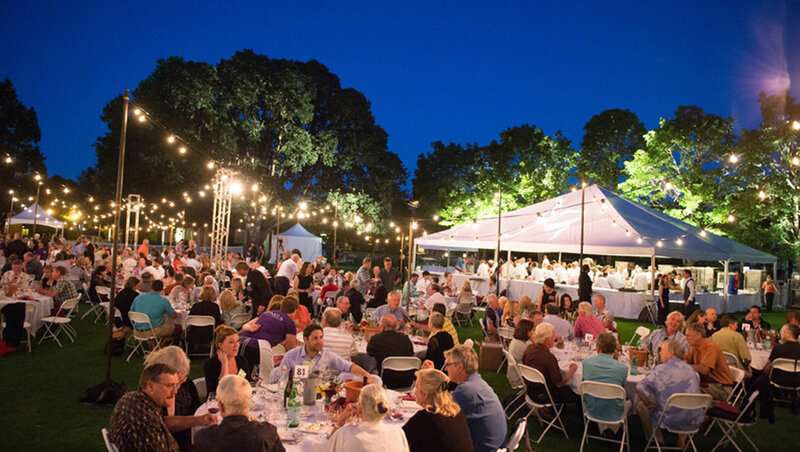 More on the IPNC: The IPNC is a three-day event, famous around the globe, as a mecca for lovers of Pinot noir and northwest cuisine. During the weekend, world-renowned winemakers, northwest chefs, esteemed media, epicures and wine lovers will gather in McMinnville, Oregon, for three days of exploring Pinot noir, savoring unforgettable meals, and learning and celebrating with luminaries of the food and wine world. Along with the speakers and chefs, it is the relaxing and festive atmosphere that sets the IPNC apart from all other wine events. Whether tasting Grand Cru Burgundy or walking through Oregon vineyards with the grower who planted them, guests find themselves unwinding in picturesque Oregon wine country for what wine legend Jancis Robinson described as “one of the most enjoyable wine weekends in the world”.